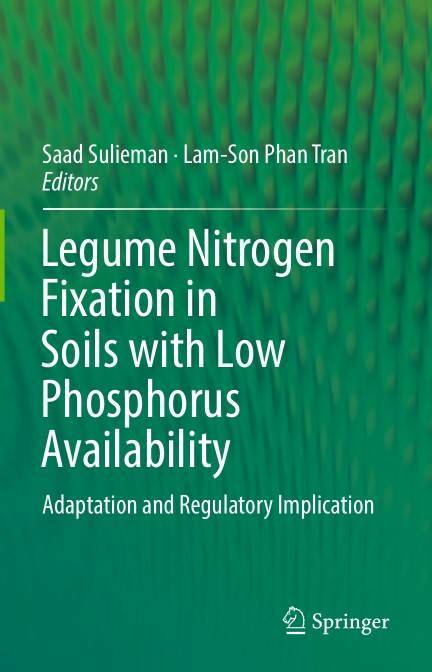 This thoughtful and provocative book provides a concise, up-to-date presentation of how current and projected future phosphorus scarcity will affect legume growth and their symbiotic nitrogen-fixing capabilities. It is a timely examination of the physiological and molecular responses of nodules to phosphorous deficiency in attempt to identify common principles. Students and researchers in the many disciplines related to crop productivity will find this title an exciting contribution in the area of plant stress physiology. The knowledge in this volume can also aid plant breeders, particularly through new methods of genetic engineering, in developing unique and adaptive cultivars with higher symbiotic efficiency. The awareness of the rapidly rising world population must translate into a parallel increase in agricultural production in order to sustain the growing population both now and in the future. Hence, the demand for food crops to produce proteins and vegetable oil for human consumption is going to increase considerably during the coming years. The essential role of legumes in agriculture is well-recognized, given the abundant levels of proteins and oils found in plants along with their enormous contribution to the sustainability of agricultural systems and human health. The capacity of legumes to fix nitrogen (N2) in partnership with rhizobia provides an input-saving and resource-conserving alternative, thereby reducing the need for chemical fertilizers while enhancing overall crop productivity. The use of N2-fixing legumes to produce plant proteins results in a substantial decrease in the consumption of fossil fuels and therefore also in the agricultural effects to global warming. However, a major constraint to legume production is low soil phosphorus (P) availability, considering that an overwhelming majority of the world’s soils are classified as P-deficient. Low-P availability is especially problematic for legumes, since legume nodules responsible for N2 fixation have a high P requirement. 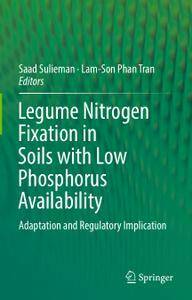 Therefore, this book explains how nodule N2 fixation responds to low P availability, which is crucial for improving legume production and maintaining agricultural sustainability in the context of the global P crisis.